Can Trendline Trader Pro be run on multiple MT4 Accounts? You can run Trendline Trader Pro on as many MT4 account as you want. The Java interface can be configured to control FX AlgoTrader JFX products on any MT4 platform. Can I draw another trendline close to the first trendline with opposite settings? Yes you can. You can draw as many trendlines as you want on a chart and each one can have a completely different trading behaviour. Does the EA reactivate if it price pulls back from the trendline and makes another break in the same direction it went the first time or do I need to wait for that scenario and draw another trendline again? It depends on how the trendline has been configured. If the trendline was set up for "Single Order Only" then it will only activate once. However, if "Single Order Only" is not selected the trendline will remain active whilst it extends past the current price action. So in the scenario where price action re-enters the trendlines trigger zone the system will place a subsequent trade providing the maximum number of orders parameter has not been exceeded and also the minimum order interval parameters have been satisfied. What does 'Max Orders' mean? Can I re-use old Trendlines or do I need to draw new ones every time they reach the max orders parameter? Any trendline drawn on the chart which is still valid (it extends past current price action) can be used again apart from where the trendline has been used for "Single Order Only"
If I manually make an order, will the EA manage it? No. Trendline Trader Pro can only manage orders it places. If I close an order manually, will Trendline Trader Pro still continue with the same strategy? Yes, providing the trendline wasn't configured for 'Single Order Only'. Do I need to have MT4 open all the time for the EA to function correctly? Can I use a trailing stop and at the same time, set a take profit level? If I set say 30 max orders on one trendline and the price lingered up and down around that trendline, will it open multiple orders at the same time? 'Max Orders' controls the number of simultaneous open orders allowed at any one time. If you used 30 as your 'Max Orders' parameter and price action repeatedly tested your trigger zone, Trendline Trader Pro would open an order providing the 'Max Orders' parameter had not been exceeded (ie there are less than 30 open orders for the asset) AND the the time the last order was opened was longer ago than the minimum order interval. So if you used 60 minutes as your minimum order interval then the system would not open any more orders until the current time was greater than the last order open time plus 60 minutes. If the trading benaviour is “Buy Touch” with “Max Orders”=1, will the system buy again after hitting TP if it went back to that trigger level? Yes. In the scenario shown in the schematic above the first long (buy) order will run to profit at the set Take Profit (TP) level, then when price retests the trendline the system will open another long (buy) order providing the first order was not opened within the minimum order interval. 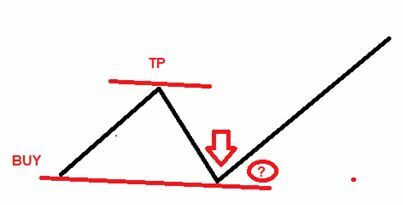 If the trendline is slanted or sloped, are the tp and sl also slanted or sloped? No. MQL4 cannot calculated price/time proximity from a horizxontal or vertical lines drawn in MT4. You must use Trendlines if you want to automate trades. You can easily draw flat trendlines if you want to trigger trades off historical price derived support and resistance levels.